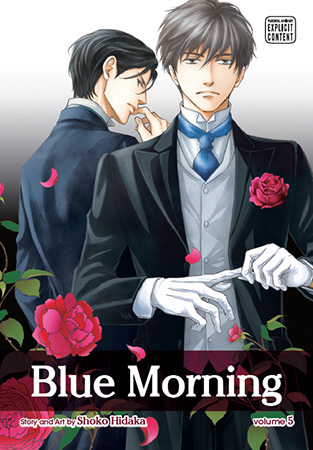 Blue Morning Vol. 6 - SuBLime Manga: Online Manga. At the Moriyama’s evening party, there is a gamble to influence the succession of the Kuze house, and at the end of a night full of deals and strategizing, the situation changes completely! After Akihito ruins Katsuragi’s plan, it is suddenly announced that Akihito will leave to obtain treatment for his feigned lung ailment. But while things proceed exactly as Akihito had anticipated, Katsuragi’s continued silence perplexes him. 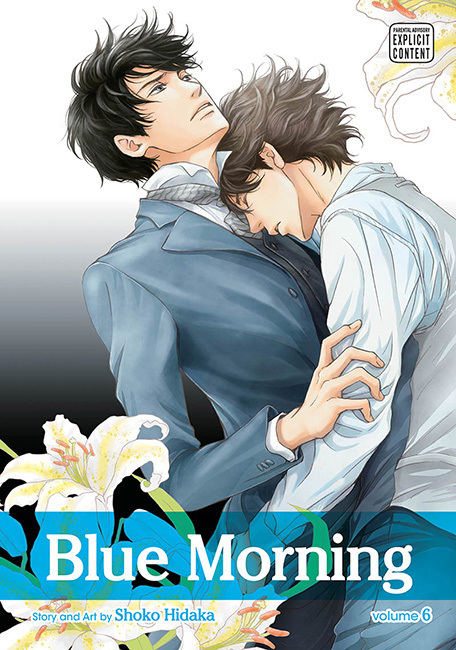 Meanwhile, Katsuragi reflects upon his solitude and feelings for Akihito as he throws himself into his new duties—until he learns in a letter from Kayoko that there is talk of Akihito leaving to study abroad! 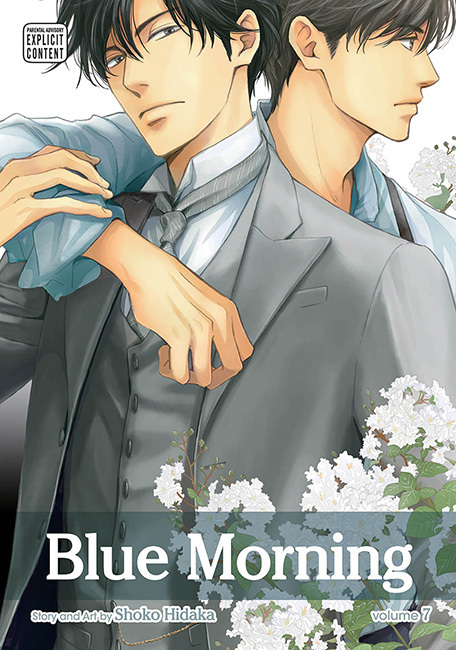 Will this force Katsuragi into Akihito’s arms, or will he remain his stoic, stubborn self? 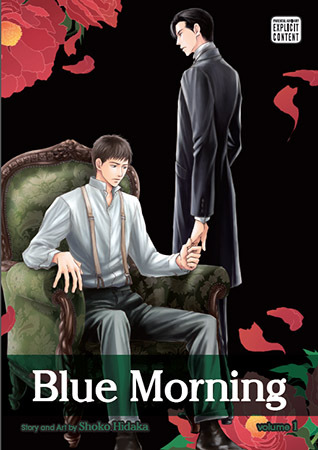 Akihito reunites with Katsuragi, vowing to never let go of his hand. When Katsuragi uncharacteristically complains about their situation, albeit mildly, Akihito is more determined than ever to settle the wrongs of the past. Later, Katsuragi confronts Ishizaki. Enraged, Ishizaki chastises him for overstepping his bounds in the management of his plant, putting Katsuragi’s position as his head clerk at risk!